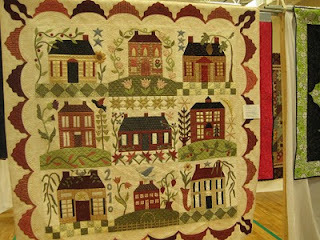 One of the neat things about going to quilt shows is all the ideas you get while you are there. 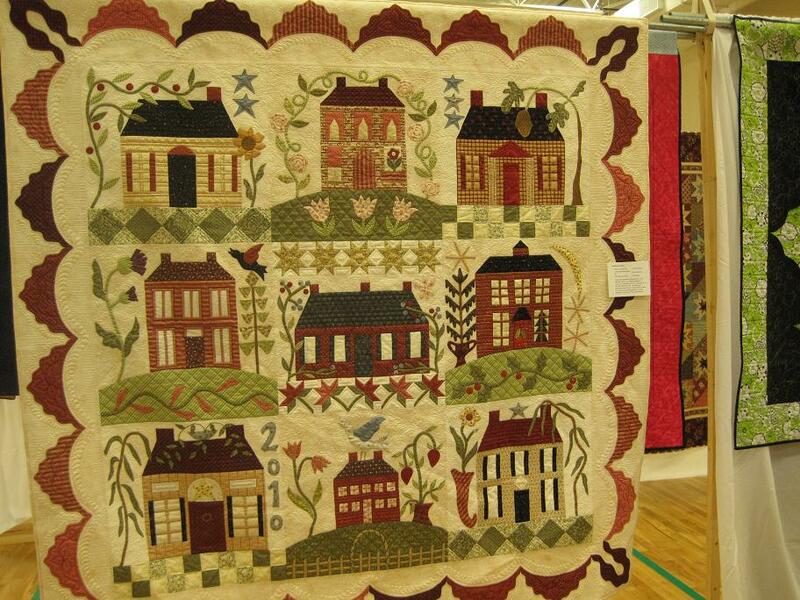 At the CLA show the member were sitting around showing each other how the actually did their quilting. 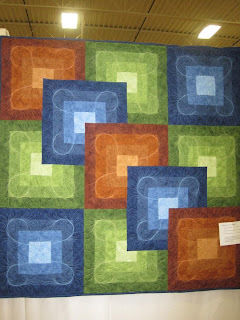 It is really neat to be in a group where although we are all in competition with each other, we still share our knowledge freely with one another. 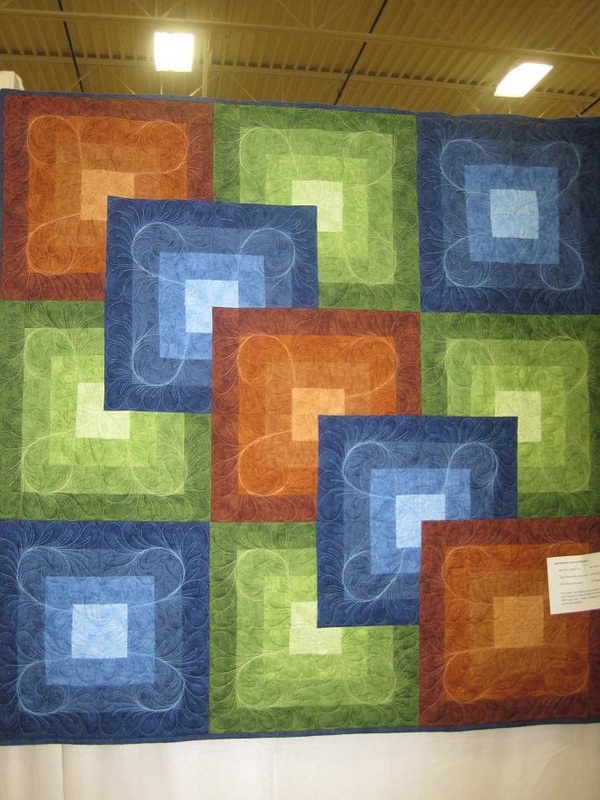 For instance, Theresa Dewalt of Belews Creek, NC quilted the following quilt. 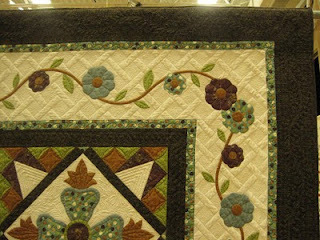 Note the awesome trellis fill that she did in the beige background of the appliqued border. That trellis is all quilting texture! 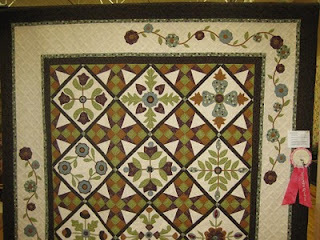 She actually brought the template she used and a photo copy of it that she could draw on and demonstrated how she was able to quilt the trellis continuously. 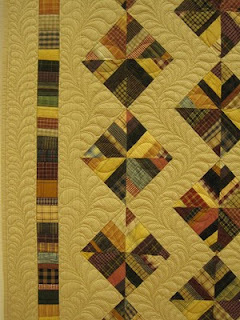 Can you believe she does not even have a stitch regulator on her Gammill! 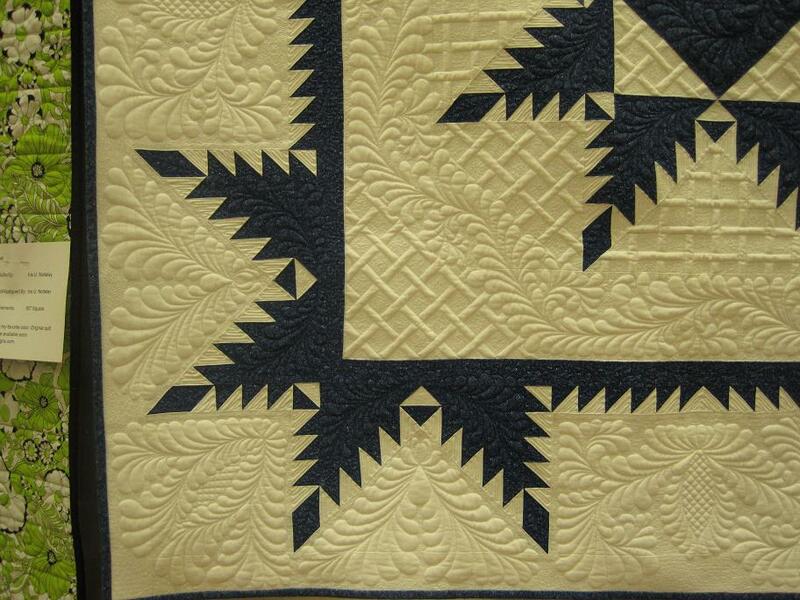 Her quilting is just breathtaking! 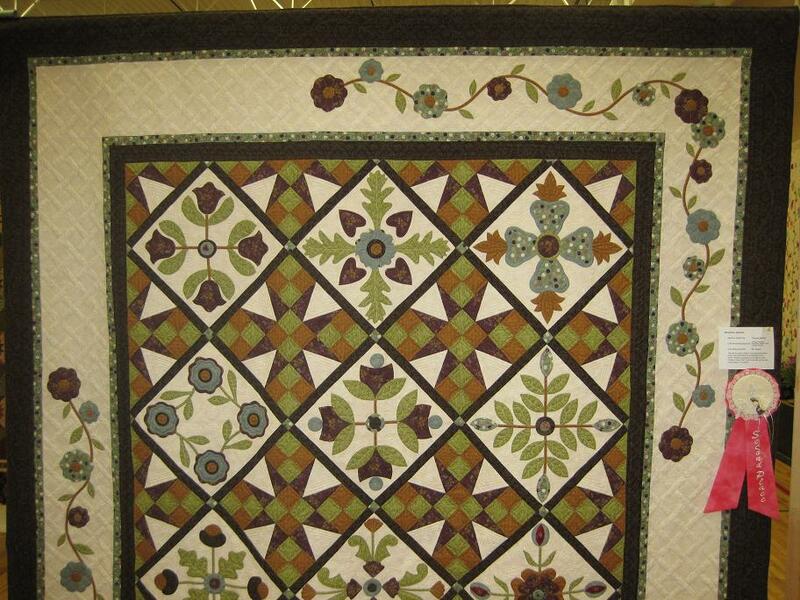 Kim Buterbaugh of Mockville, NC did the same type of backfill on her quilt, only smaller. 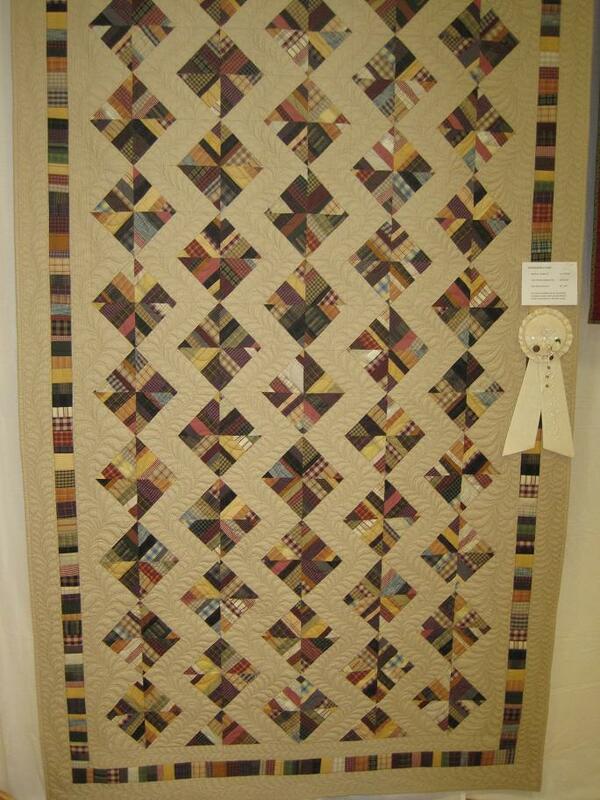 We were cleaning the floor in front of the quilts in this category due to drooling. Then we have Jan Struble and her gorgeous feathers. 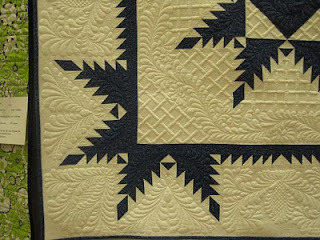 Yep, that girl can quilt feathers! 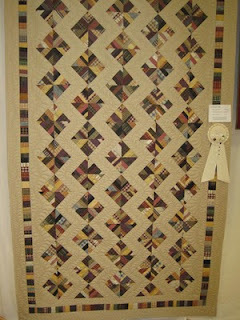 The Viewers Choice for this category was one that was also quilted by Theresa Dewalt. 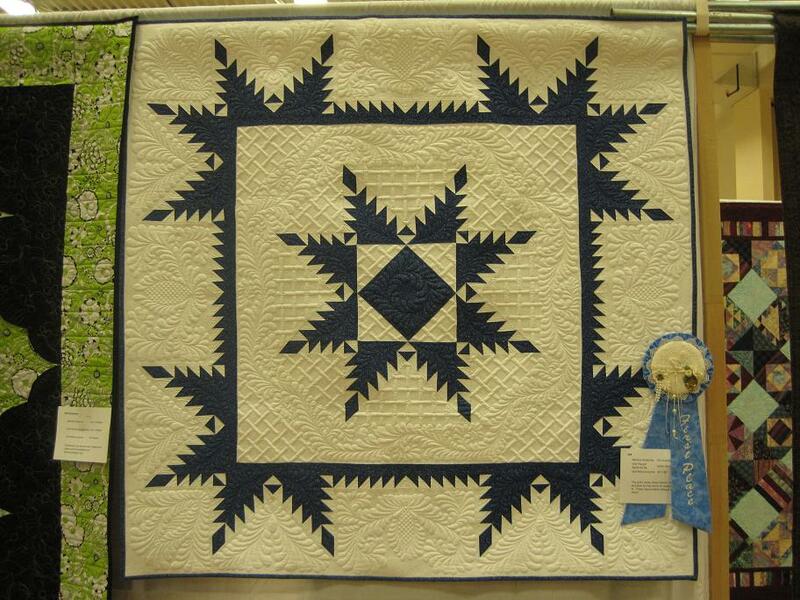 Don't know about you, but I am so glad that it was not me judging this show. 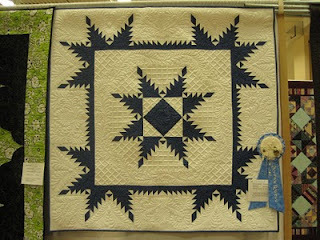 There were 26 quilts in this category and they were all drop dead gorgeous!